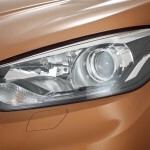 MG Motor UK has officially launched its new SUV, the MG GS. 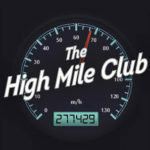 Prices start at £14,995 and rise to £19,495 for cars with a manual transmission and £20,995 for the automatic DCT (dual-clutch transmission) models. 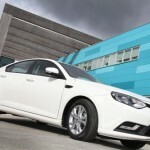 There is also a full five year factory warranty as standard on the GS, which MG says has been designed and engineered at Longbridge in Birmingham. 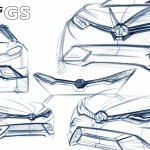 MG Motor UK is set to unveil the all-new GS SUV at next week’s London Motor Show. 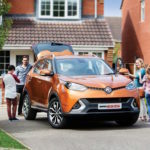 MG previously announced in October last year that it was the first volume manufacturer to confirm attendance at the London based car show. 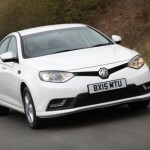 Six months ago, MG Motor UK launched the new MG6 and it has been a great success with customers enjoying the numerous improvements made to the value-for-money fastback. 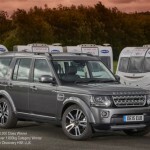 Land Rover’s luxury SUV takes a much-deserved, first overall win in the industry’s most prestigious towcar competition, The Caravan Club Towcar of the Year.